Illana Nayor’s children gave her a special Mother’s Day present this year. No, it wasn’t days of pampering at a spa. Nor was it a days-long shopping trip to New York, or candy or flowers or coupons for housework. They didn’t give any of the gifts we associate with the spring holiday. They gave her a library. It doesn’t have stone lions out front, and most patrons would have trouble getting in. 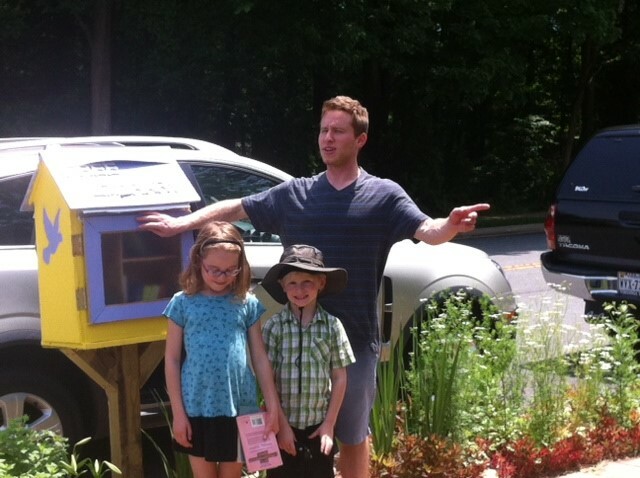 This library, part of the Little Free Library project, stands about two feet high and a foot wide with a pitched roof, painted a cheerful yellow and violet. Her son, Benjamin Naylor Barrett, built the library. Illana then stocked it with a variety of books. Illana stood at the curb in front of her house with her hand on her very special Mother’s Day gift. “I hope someone puts up one of these libraries on every block. Just think of the effect it would have on individuals and the community!” And she smiled.